Development consent has been given to construct a development consisting of a gas fired combined cycle gas turbine (CCGT) power station with a maximum generating capacity of up to 1,700 MWe (Tbc). The project will utilise existing Gas and National Grid connections on the site of the former Teesside Power Station; Greystone Road, Grangetown, Middlesbrough, TS6 8JF. The application was submitted to the Planning Inspectorate for consideration by Sembcorp Utilities (UK) Limited on the 22 November 2017 and accepted for examination on 18 December 2017. 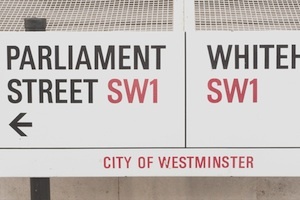 Following an examination during which the public, statutory consultees and interested parties were given the opportunity to give evidence to the Examining Authority, a recommendation was made to the Secretary of State on 10 January 2019. The Planning Inspectorate is committed to giving local communities the opportunity of being involved in the examination of projects that may affect them. Local people, the local authority and other interested parties were able to participate in the six month long examination. The Examining Authority listened and gave full consideration to local views before making their recommendation. The decision announced today supports the recommendation made by the Planning Inspectorate. It is the third major project to be approved this year following the development consent orders granted for Tilbury 2, a new port facility to be built at the Port of Tilbury, and Millbrook Power, a gas fired power station proposed in Bedfordshire. The decision, the recommendation made by the Examining Authority to the Secretary of State and the evidence considered by the Examining Authority in reaching its recommendation is publicly available on the National Infrastructure Planning website.